I am basically a research veterinarian with specialization in diagnostic veterinary pathology, experimental pathology, poultry pathology and comparative medicine. I also have a strong research interest and background having over seventy publications that I have authored or co-authored in the scientific literature including those addressing a variety of animals models for human research. I also co-edited a book published by the US Dept. of Energy titled &quot;The Canine as a Biomedical Research Model&quot;. 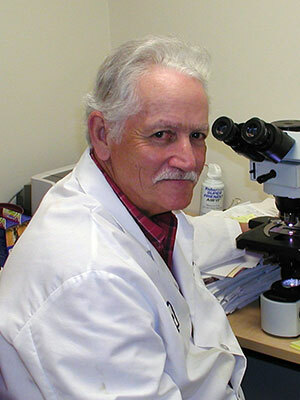 I currently serve as a private research consultant and part time as a clinical professor of veterinary pathology. The nuclear concentration of cardiac myocytes in normal and cyanotic roosters was investigated and results for mature roosters compared to market-age broilers. A dramatic reduction in myocardial nuclear density occurred with increased age. A significant reduction in right ventricle nuclear density was demonstrated for the cyanotic compared to normal roosters.